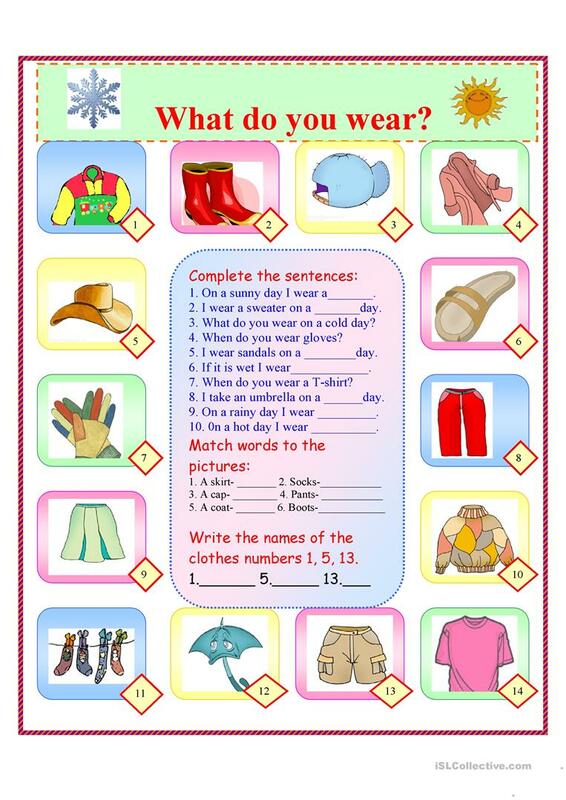 3 tasks-complete the sentences or answer the questions about clothes and weather (What do you wear...? ), match words to pictures and write the names of some clothes. The present downloadable teaching material is recommended for elementary school students at Elementary (A1) level. It was designed for honing your learners' Reading and Writing skills. It centers around the topic and words of Clothes, fashion.